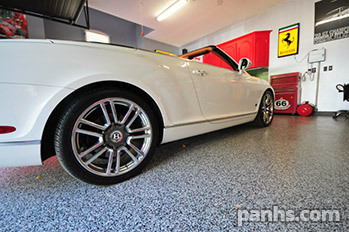 Are you looking for an epoxy garage floor that actually lives up to your expectations? Then you have found the right place, Amazing Garage Floors! 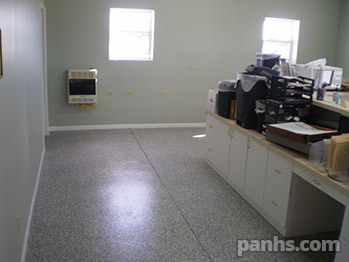 Panhandle Home Solutions installs Amazing Garage Floors epoxy flooring quickly, and professionally, at a reasonable price. An epoxy garage floor system that starts with the best garage floor preparation; includes a primer, tinted base coat, great texture, and colors, then finished with a durable, glossy finish that will last for years - GUARANTEED. Epoxy floors are installed in your home in a day or two, and are back to full use just 12 hours after completion. All this can be yours, backed by an outstanding warranty and installed by technicians, with the proper training, equipment, and the professionalism that you and your home deserves. Epoxy garage floors aren't just for car guys and mechanics anymore. They are an extension of your home, and likely the first thing you see when you pull into your garage. A colorful and easy to clean epoxy garage floor is the starting point of any garage makeover or organization project, and will make you the envy of your neighborhood. Great for family get togethers and neighborhood activities. Amazing Garage Floors, Installed in a day or two, isn't just another pretty face. It's the most advanced, long-wearing floor finish of its kind, with an unbeatable limited lifetime warranty to prove it. Using the most technically advanced materials available, Amazing Garage provides a superior finish and durability over other epoxy products, for a floor that's beautiful, long lasting and easy to maintain. Amazing Garage Floors coatings are suitable for virtually every application, and are ideal in any location that requires added durability, quick clean-up, traction, and visual enhancement. Variety - 200+ colors, 4 finishes, as well as custom options including logos. 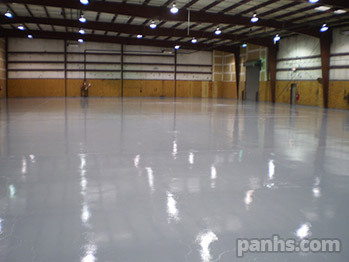 Superior finish and durability over epoxies means you will never need to worry about your floor again. 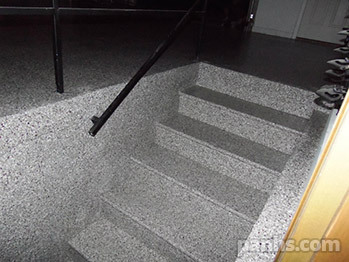 Safe and slip-resistant gloss finish helps to meet safety requirements. Anti-skid additives make your floor safe when it's wet! Amazing Garage Floors is the smart solution that fits how you live, and what you do, even if what you do demands a tensile strength of 3,900 psi. Amazing Garage Floors proprietary floor coatings carries one of the longest warranty's in the industry and are superior to epoxy and urethane coatings from the standpoint of installation time, return to service, UV resistance, abrasion resistance, chemical resistance, long-term durability, maintenance and shine. Amazing Garage offers a superior floor system designed for residential applications and a floor that will certainly hold up to industrial and commercial installations as well. Amazing Garage Floors uses proper preparation, products, and trained installers to provide the best floor available, our products are guaranteed to wear better and last longer than substandard epoxy finishes. Amazing Garage Floors are warranted against normal wear and tear. Our warranty contains certain limitations which you should note. 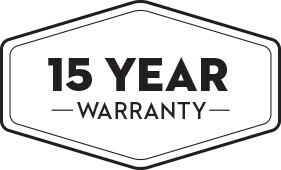 Amazing Garage Floors offers a 15 year warranty; please speak with your dealer for specific warranty information!